While I never got into Thundercats during its heyday (I was more of a Teenage Mutant Ninja Turtles child myself), it's hard to deny the widespread appreciation from geeks and animation fans alike. 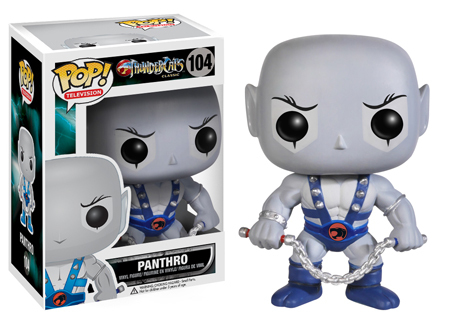 Even though the 2011 reboot only lasted for a single season, nostalgia-oriented merchandise continues to be popular, prompting Funko to unveil yet another big-headed Pop! figure series. 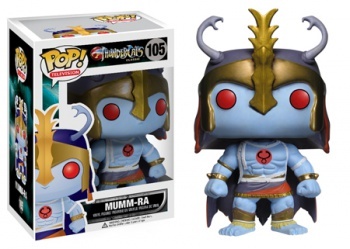 As with previous Pop! 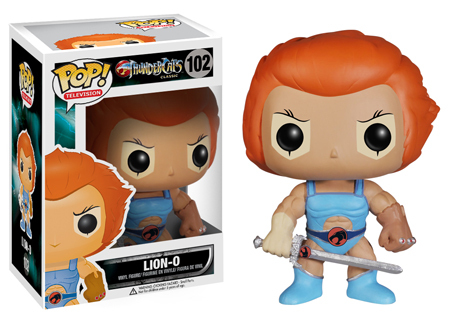 releases, the Thundercats line features five of the show's most recognizable 1980s-era characters, albeit with larger cranial proportions than you might be used to. Pop! 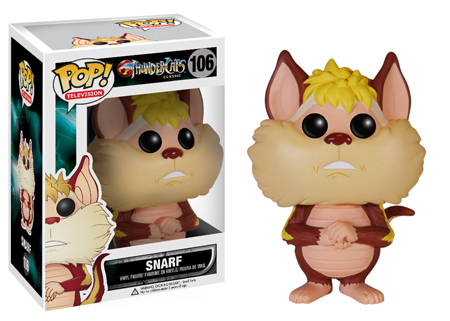 Television will soon be offering figures of Thundercats leader Lion-O, the precognitive Cheetara, the warrior Panthro, the sorcerer Mumm-Ra, and whatever precisely Snarf is. Even as someone just learning about Thundercats, I have to admit that these figures are well-crafted. 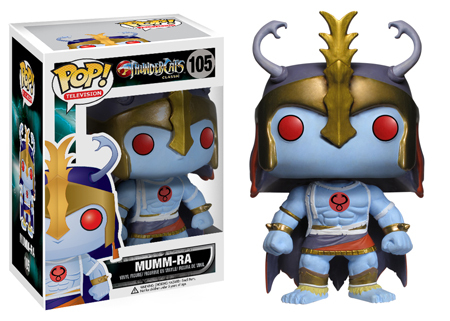 I'm especially interested in the Mumm-Ra toy, who has to be the most adorable demon-priest mummy I've ever seen. 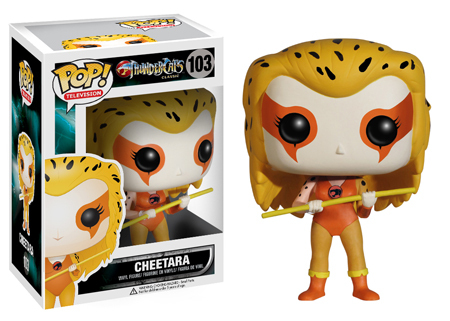 The Thundercats Pop! figures are scheduled to arrive in stores on December 17th, just in time for any last-minute Christmas shopping.